Tugboats were deployed to clear the barges out of the area, the Vancouver Fraser Port Authority said. 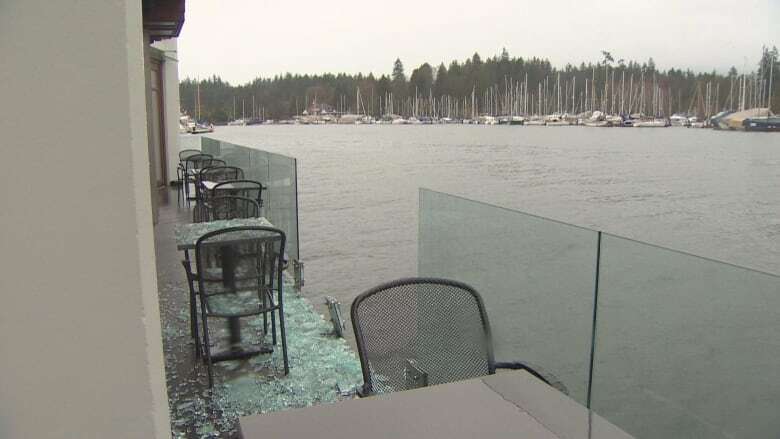 Two barges broke loose of their moorings early Wednesday, causing damage to boats and a restaurant in a Vancouver harbour. 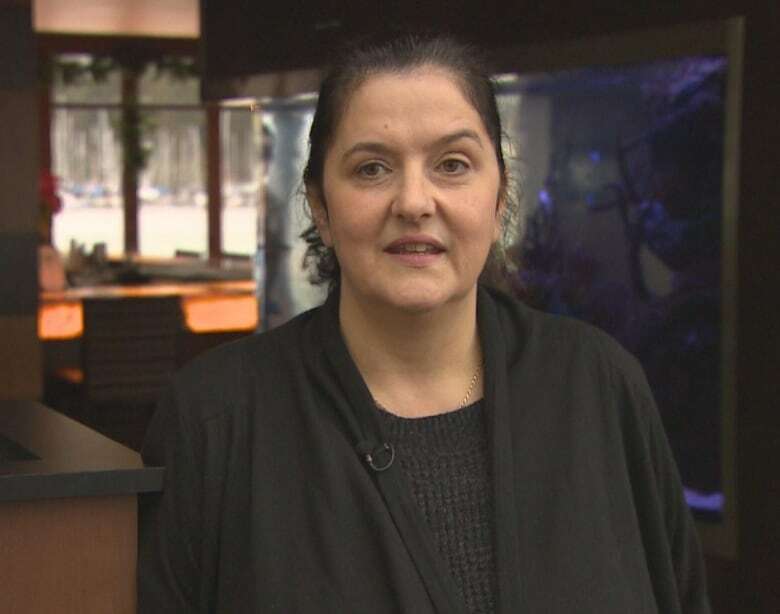 The Vancouver Fraser Port Authority was notified of the barges adrift in Coal Harbour and tugboats were deployed to clear them out of the area, spokeswoman Danielle Jang said. "Our role as the port authority is to monitor for safety so we did put our harbour patrol boats on scene to support the first responders and the tugs as well," Jang told CBC News. At least one of the barges collided with the Lift Bar and Grill, a restaurant located adjacent to the harbour, according to restaurant manager Claire Clarke. Two glass panels on the restaurant's patio were smashed as a result of the impact. "We're pretty lucky. It could have been worse," Clarke said. Clarke said she received a phone call from Vancouver police around 7 a.m. PT on Wednesday, informing her of the damage to the restaurant. The barges also damaged a nearby superyacht and at least one other boat in the harbour, Clarke said. She said police told her they believed the barges floated over from the North Shore. "The cops treat it like a hit-and-run so each place that was damaged will be put under the same file claim and the insurance, hopefully, once they figure out who the owner is, we'll go from there," she said. The restaurant is closed for Boxing Day today but will open as usual on Thursday. VPD did not respond to a request for comment.